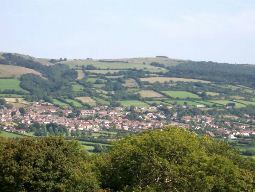 The village of Draycott is situated just 2 miles outside of Cheddar, on the southern edge of the Mendip Hills Area of Outstanding Natural Beauty. Renowned for its strawberry growing and popular with all age groups, Draycott offers a thriving, friendly village community and provides amenities including a playgroup, First School, village hall, playing field, local post office/convenience store and public house. Nearby towns of Cheddar and Wells offer a full range of facilities and exceptional schools which include The Kings of Wessex Academy. Click here to search our database of properties for sale and rent in Draycott.